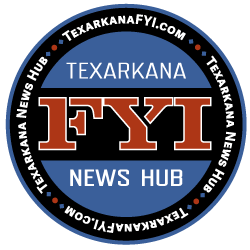 Texarkana’s leading job placement experts at Express Employment Professionals have listings from the top employers in the Ark-La-Tex. Here is a list of current openings. Be sure to visit their website for even more listings in the region. Plans, assigns, supervises and directs activities of subordinates. Performance of job to meet or exceed customer expectations, quality, food safety, integrity and to comply with all Federal, State, and Local regulations governing our business. Ensures plant facility and equipment are maintained according to standards. Directs subordinates in achieving compliance with all applicable quality and regulatory standards (FDA, QBA, OSHA, Pinnacle, etc.). Assists Director of Engineering/Engineering Superintendent in the performance of assigned duties. Plans, assigns and supervises work of Engineering Personnel on assigned shift. Trains new employees in accordance with established training programs and plant procedures. Demonstrates procedures unique to plant operations. Supervises and/or participates in the repair and maintenance of all plant machinery and equipment. Read, understand and implement schematics and mechanical drawings. Maintains good employee relations. Promotes established safety programs, insure safe operating procedures, and monitor employee compliance. Ensures that work areas are cleaned and organized during assigned shifts. Maintains cleanliness of work area and personal hygiene. Perform other duties as directed by supervision. Employees shall not tamper with any safety devices or protective equipment. Employees shall use all required personal protective equipment (PPE). Employee shall follow all company safety, security and environmental policies and procedures as addressed during annual training. Employees shall report all injuries and near misses to Supervisor immediately. Performance of other duties which are deemed by management to be an integral part of the job, including but not limited to fulfillment of work schedules, adherence to attendance policies, and other applicable operating rules, policies and procedures. Local Texarkana Equipment Company is seeking a farm and heavy equipment mechanic must have own tools. Exp. in Engine, power trains, transmissions, and hydraulics. Starting pay depends on skills. Assist Credit Manager in the operations of the Corporate Credit Department, including credit limit approvals and releasing of invoices. Supervise credit clerks in the department and manage daily department operations. Manage and maintain all corporate customer accounts, including reconciliations, obtaining proof of delivery (POD), and making collection calls. Monitor the preparation of various reports, billing corporate advertising, and payment application. Process monthly AR spreadsheets. 1. Exhibit conduct and dress in a manner consistent with policies and that reflect credit to the program and organization. Applicant must not be afraid of animals. Duties will include cleaning cages, walking the animals, brushing dogs, cleaning kennels and making sure that all laundry is done. You will also be responsible for sweeping and mopping the facility. Every other weekend you will be required to work. Will work a split shift on Saturday and Sunday. Hours will be Monday – Friday 8 am – 5:30 pm. Start pay is $8.00 – Apply today!!!! Local Texarkana, TX Manufacturing Company has openings for welding inspector. Qualifications include Mig/wire and stainless steel welders, or carbon welding, or stick welding. Applicant MUST be able to read a tape measure. You will have to pass hands on welding test. A good stick welder is an excellent candidate. Start pay is 13.00 per hours and the work week is Monday through Friday 6am – 6pm. Company offers great Benefits!!!!! Apply Now!!!! Organizes, assigns, and distributes specific job tasks and daily work activities to other accounting personnel and themselves. Review for correctness, with emphasis on instruction, the work of other accounting personnel. Provide technical assistance to all accounting personnel. Computes and prepares billings to various customers for services provided and prepares supporting schedules of related personnel, material, and equipment expenses. Computers, prepares and reviews periodic reports of payroll, state and federal taxes. Calculates and audits checks for regular and specific disbursements. Compiles, classifies, checks for accuracy and completeness, arranges and posts the opening, adjusting and closing entries in preparation for monthly and annual financial reporting date. Maintain, analyze, reconcile and balance bank statements, subsidiary ledgers and journals to cash, accounts receivable, fixed assets and depreciation, and other general ledger control accounts. Maintain a set of equipment, material, vehicle, and other cost records in accordance with predetermined breakdowns. Computes and prepares required billings related to pumpage for Member Cities and Wholesale customers. Perform related work as assigned by management personnel. High school diploma supplemented by a minimum of 9 hours in accounting, from an accredited college. Knowledge of standard accounting practices including General Ledger and proficient use of Microsoft Word and Excel. Supervisory experience combined with knowledge of effective supervisory principles and practices. Considerable skill in the operation and care of typewriters, calculators, computer terminals, and all other machines used in connection with accounting and budgetary work. Loads and unloads materials onto or from pallets, trays, racks and shelves by hand. Loads and unloads materials from other departments and installs strapping, hardware, completion plugs and other components to prevent shifting or damage in transit. Conveys materials to and from storage, work sites or shipping departments to designated area, using hand truck, forklift or other device. Secures lifting attachments to materials and conveys load to destination, using hand-operated crane or hoist. Responsible for signaling crane or hoisting operators to move load to destination. Lift objects by hand and lifting aid to assemble flanges and other components. Label all material as required, including traceable items such as heat numbers, lot numbers and customer supplied parts. Maintain part numbers and labels on all material racks to assist with inventory tracking. Knowledge of various metal grades, thicknesses, sizes. Knowledge of computer programs to include but not limited to word, excel, label makers, etc. Must be able to drive a forklift and load and unload trucks and lift up to 50lbs continuously. Work a 12 hour Shift and hours will vary. Local company seeking a CDL-A driver. Will be shuttling trailers 4 days a week, 6 am – 6 pm and will work one day in the warehouse. Must have driving experience and a clean background! Local Judicial Office is seeking a general maintenance person…Must be able to do painting, carpentry, plumbing, electrical, welding and general repair. Must have clean criminal background, due to the type of business, and a clean driving history -will be driving a company vehicle Must live within 10 – 15 minute radius from Texarkana, because of occasional on call. Start pay $10.50 – Great Insurance and Benefits. Local Aggregate Company is seeking a heavy Equipment operator. This person must have Experience with dozer, graders, backhoes and track hoes. Must be able to work the day shift and the start pay is 14.00 plus per hour D.O.E. Repair pumps, motors, working on conveyors, welding would be a plus. Class A CDL, operate a backhoe, Must have a clean driving record, will be driving a company truck. Seeking an experienced carpenter with knowledge in framing and finish work. Will be responsible for designing, building, installing, and repairing structures, fixtures, and other items using different types of materials. Examines blueprints, sketches or building plans to determine material required and dimensions of structure or fixture to be fabricated. Selects, loads, and hauls job material to work site. Measures boards, timbers, or plywood using square, measuring tape and ruler and marks cutting lines on materials using pencil and scriber. Shapes materials to required sizes using saws, chisels. Uses carpentry hand tools such as hammers, levels, squares, screw drivers, adjustable, wrenches, hand and power saws, drill motors and pry bars. Erects frame work for structures and lays sub-flooring. Works with materials such as wood, plastic, fiberglass, or drywall. Construct, patch, finish, and paint drywall. Fits and installs pre-fabricated window frames, doors, weather stripping interior and exterior trim and finished hardware. Ability to read and understand architectural and mechanical drawings. Local company seeking a Roll Clamp Forklift Operator. Must have experience moving large rolls of paper around by a forklift. Clean background and valid drivers license required! Hours will be 8-6, Monday-Friday. Pay will start at $13! Wonderful company and opportunity! Express is seeking FT Perm Medical Biller at a rate of $10/hr. Must have at least 2 years medical billing experience in a hospital or clinic setting. The Customer Engagement Specialist will report to the Executive Vice President/CEDO. This position is primarily responsible for assisting clients and performing multiple marketing, public relations and communication tasks. Candidates must be organized, resourceful, and detail-oriented, with a friendly focus on customer service. Excellent interpersonal and communication skills, strong sales mentality, and negotiating ability. Excellent phone communication skills. Prior experience in customer service preferred. Ability to memorize and deliver pre-written call scripts. Proficient with technology such as Microsoft Office, Google Apps, graphic arts platforms, video, photography and social media platforms, and ability to quickly learn new systems quickly. Must be a US Citizen, at least 18 years of age, minimum high school graduate or GED, subject to drug screening at any time and without notice, background investigation and have a valid driver’s license. Work will be performed upon an active military installation and further background investigations may be required to satisfy DOD requirements. Such investigations and DOD approvals will be a condition of employment. New Boston company is seeking a maintenance lead. Will be responsible for performing building maintenance and repair. Need to have basic knowledge of plumbing, HVAC and electrical work. Hours are Monday through Friday 7 am to 4 pm. Starting pay up to $12/hr. Assure compliance of all policies and procedures including safety, SOPs, GMP, and guiding principles. Develop personal skills with all tools available. Promote and maintain a safe working environment. Interact with your Production Manager, CSO and Vice President of Quality and Regulatory Affairs. Able to perform sampling and documentation of manufactured bulk. Able to transfer bulk materials into holding vessels. Able to compound bulk materials utilizing blending methods. This position is responsible, along with the Production Team Leader, for cleaning the production blending rooms, all tanks and utensils used in the production process. Model all Company policies and procedures with a positive attitude for team and self development. Perform all other duties deemed necessary by management. A High School Diploma or GED is required. College Chemistry coursework is preferred. Math and decision-making skills are essential requirements for this job. Addition, Subtraction, Multiplication, Division, and Geometry are the math skills most often used. Mechanical Skills, experience with driving a forklift, and crown certification are required. Responsible for promoting a safe and compliant workplace, while ensuring efficient implementation and training of safety policies, procedures and guidelines while learning and growing in a synergized setting. The Finance Clerk will be responsible for answering the main phone line. This position will report to the Billing Team Leader and the CFO. The individual will provide backup for other Accounting and Billing duties. This person will do special projects from time to time and may be asked to assist not only with Finance but other areas in the organization and perform other duties as assigned. Mon-Thurs 9-4 and Fri 9-3. $9.25/HR. Local Truck Company is seeking a diesel mechanic to do basic flat repair, mounts and dismounts, wheel seals, and brakes. Must have tools and Live In the Texarkana area. Monday – Friday 8am – 5pm with Rotating Saturday. $12/hr or DOE. Texarkana, AR Company seeking Office Coordinator. Duties will include answering phones, customer service, using Microsoft programs, and all other duties related to the front desk. Position will work Monday-Friday 8-5 with the starting pay of $9-11/HR DOE. 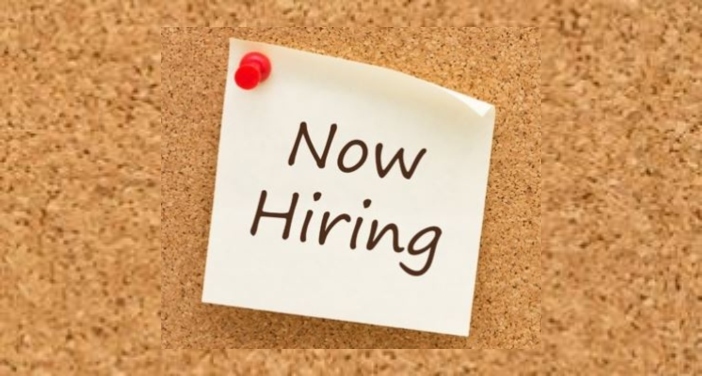 Local Texarkana, TX Company is seeking an EXP. Class A CDL Driver – They would like someone that has some flatbed Experience. Will be delivering locally, within 100 mile radius. Must have clean driving history and air brake endorsement. Must have updated Health Card. Must be able to drive a standard. Monday – Friday 7am to 5pm and on call every 4th weekend. Local Trailer company is seeking an Experienced Trailer mechanic. This person needs to have experience brakes, electrical, body, welding, and general repair. MUST have OWN TOOLS. Company offers excellent benefits. Start pay DOE – Work week is Monday through Friday 7:30 to 4. Local Texarkana Company is seeking an energetic person to work in the label sorting department. This person must have good math skills and be very detailed. They will be cutting labels and making sure that the shipments are correct. Eventually they will work their way up to a pressman. Work week is Monday through Friday 8 – 5. The start pay is $14.00. After 1 year the company offers full medical and 6% paid retirement. Multi-experienced in all levels of cooking, banquets serving, food preparation, knowledge of all kitchen equipment. Also, must have successfully completed associate level Culinary Arts programs as well as Serv-Safe or other national safety standard testing. Great company and great opportunity for the right person!